Everyone loves the glow of a candle at Christmas. Whatever your mood, candles have a tendency to create a sense of serenity and comfort. 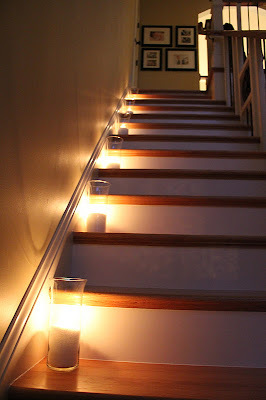 We like to get our toddlers involved in the decorating of the home, and here are some candle ideas for you. Enjoy! 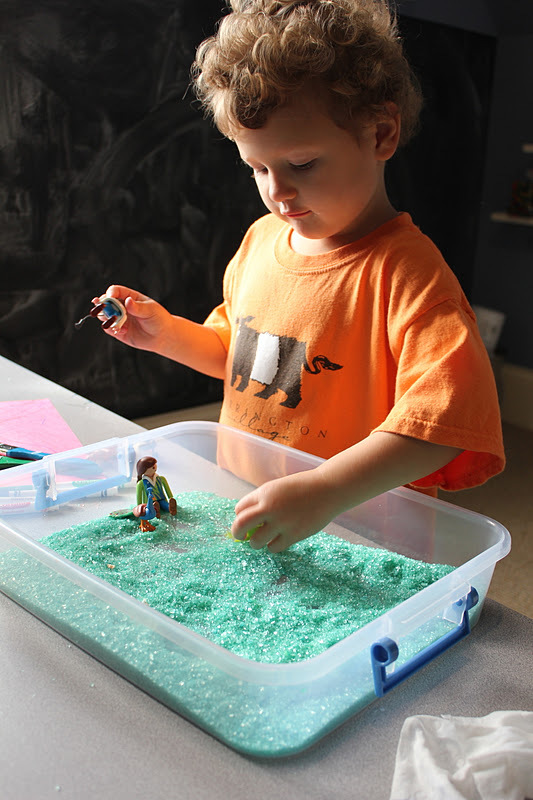 This involves the same process but we used epsom salt instead. "It's on my hand, Mommy!" We did spray them with a clear gloss sealer after the glue dried. You can also apply the epsom salt right onto the candle. 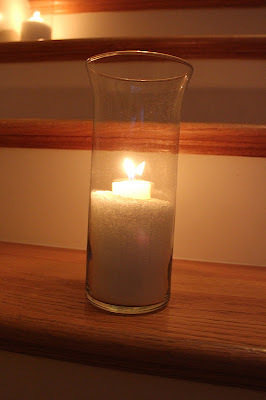 This will give you a sparkly candle instead of a luminary effect. Love love love these ideas! I can't believe I haven't seen this post yet. Just when I think I've read everything you have written I find more. ;) Gotta love the link within widget. I especially love AK's son pretending it's a leaf blower. That is exactly how my boys would be. As always, thanks for the inspiration. Your blog is one of my favorite places to visit while nursing.